Ukishimacho Park (浮島町公園) is located in Ukishima Island. 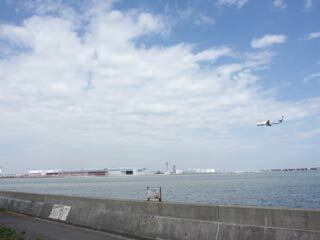 Because it is located right next Haneda Airport, you can have a great view of airplanes. Many photographers come here to shot photo of airplans. It is also popular fishing spots.